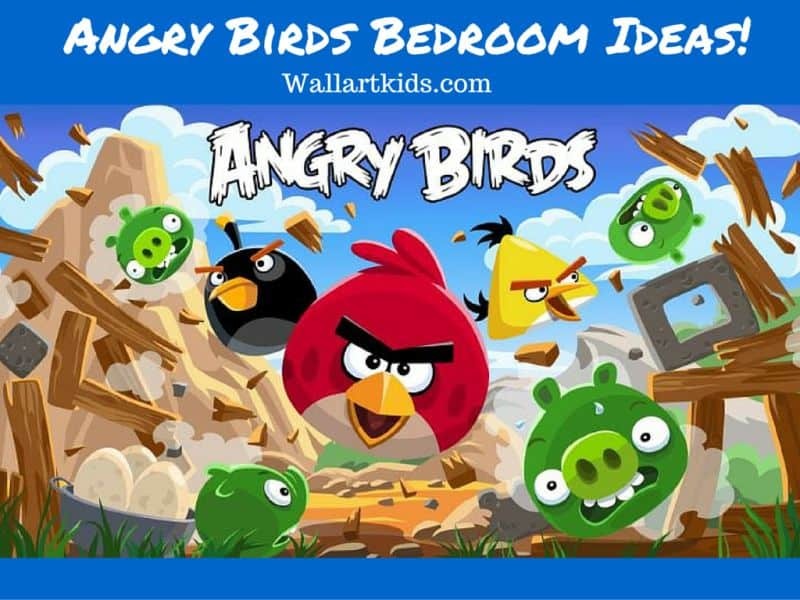 After the release of the long awaited Angry Birds film, it got me thinking about Angry Birds bedroom ideas…. I have two very lively boys and both are BIG angry birds fans, so I can imagine an angry birds theme being a popular one for many kids. When the little Angry Birds computer app game came out, who would have predicted what a phenomenon it would become – or how fun and entertaining catapulting birds at green pigs would be!! 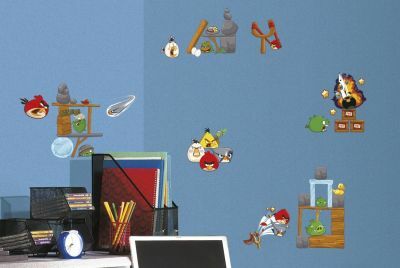 Covering the walls with cool angry birds posters and angry birds wall stickers is a great idea to get started. 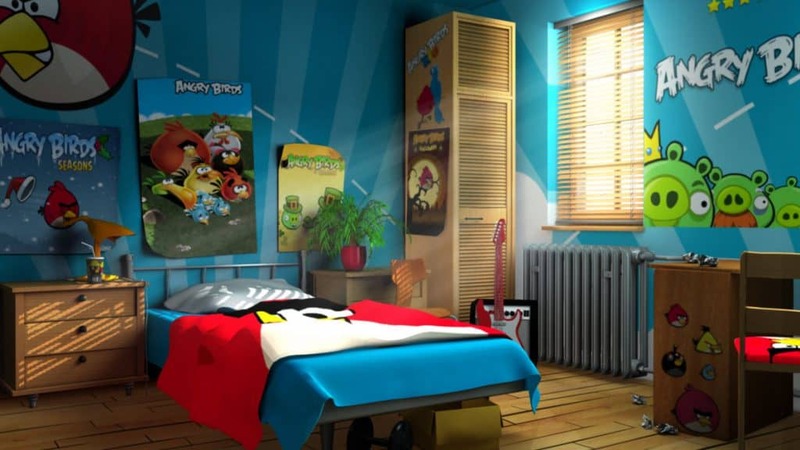 I love the use for bright colours for this room and the classic bright blue and bright red typical angry birds colours. 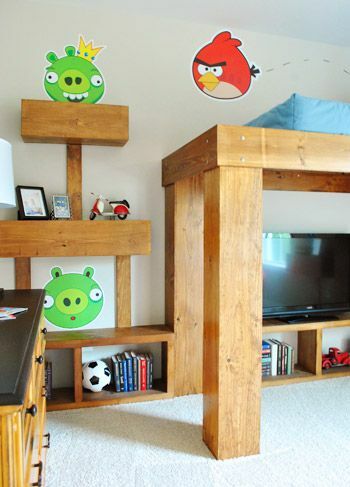 What a great idea creating this wooden loft style bed and shelves inspired by Angry Birds – the wooden planks made out to look like the angry birds blocks. It’s great the way the blocks match up as shelves and bookshelf space too. 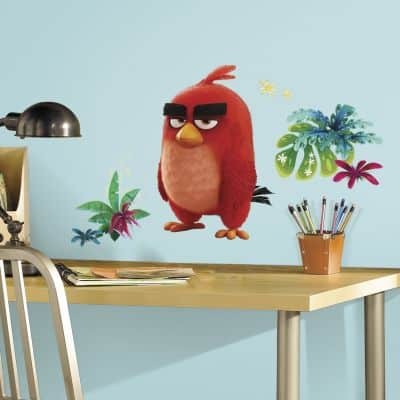 Angry birds wall stickers complete the look here, dotted among the blocks. Even after your kids get tired of the angry birds theme, it would be simple to change a look like this. 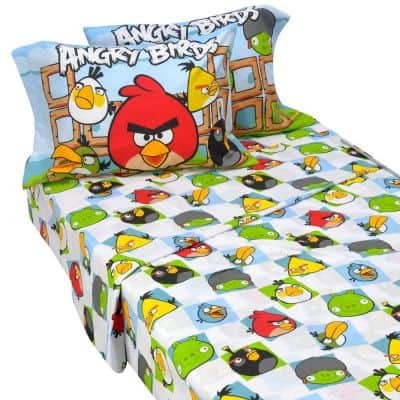 The first thing you may think about getting, is an angry birds sheets or duvet sets. It’s an obvious way to get started and a simple one too! This is a super set – it has all the characters on it and its really bright and colourful. Check out this bedding set. 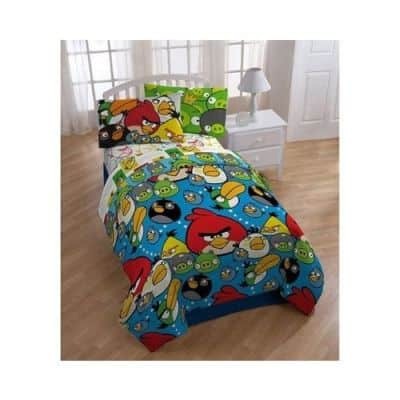 I love this chequered style Angry Birds duvet set – again, bright and colourful, a lovely option. Check out some other styles here. I’m a big fan of fun lighting in a room in general – because something simple, such as some novelty twinkle lights can really make a difference if you’re going for an over all theme. Some gentle lighting can also create a lovely atmosphere of a room and just make it a bit more special! 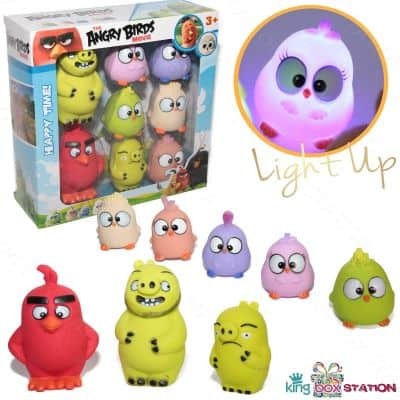 An adorable set of angry birds mini LED lights! – cute lights that are safe to use, as they don’t heat up. Three batteries are included, great little night lights. 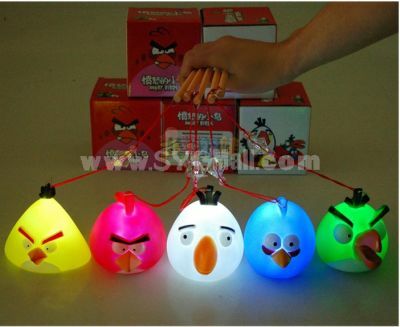 Check out angry bird lights! 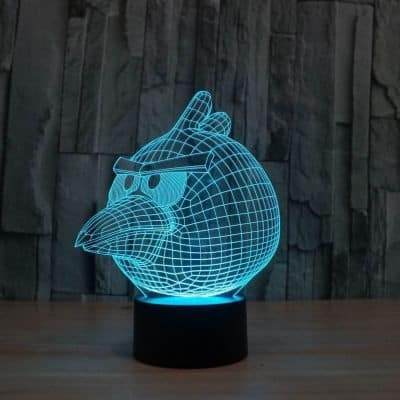 This super cool light-colour changing Angry Birds LED Light has to be my favourite! The lamp can change into 7 different colours, so is more of a mood lamp. There are also other Angry Bird varieties available, so you can pick your favourite. I like some extra cushions scattered about, it can add a bit of extra “theme” when you can’t get hold of themed furniture. For example, a simple brightly coloured plain chair can become “Angry Bird Themed,” when matched with an appropriate cushion. 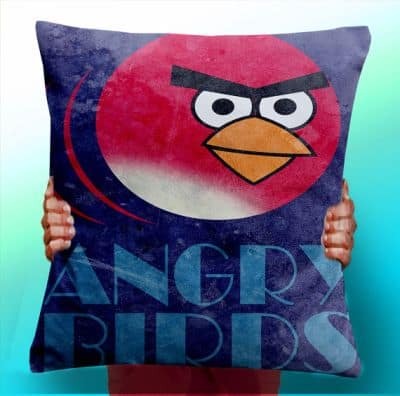 Blue angry birds general cushion from ETSY- angry birds Cushion here. 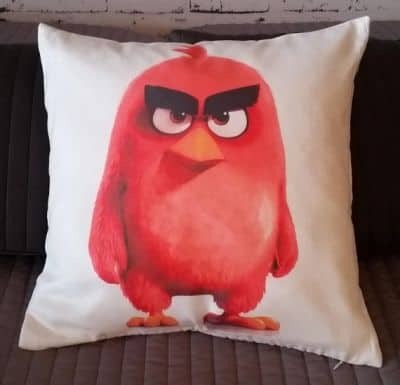 “Red” angry birds style cushion from ETSY – angry birds cushion (RED) here. 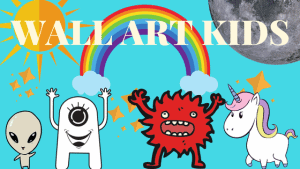 If you haven’t shopped at Etsy before, it can be a good place to find some unusual items that you wouldn’t find in regular shops and also some custom made options. Angry Birds Chair And Foot Stool! 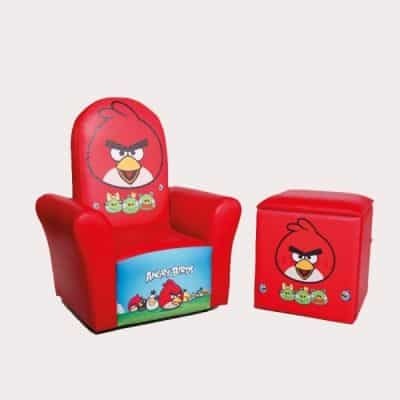 A cool angry birds chair and stool/foot rest in bright, bright red! A great set of drawers here – this angry birds drawers set was created using a poster! When there isn’t much in the way of custom made furniture for a theme, then DIY or custom made could be the way to go! Alternatively, if you’re a competent artist, you may want to try your hand at creating your own. 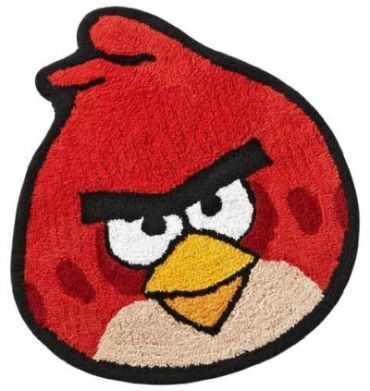 An An Angry Birds rug would make a great edition to your themed bedroom very simply. 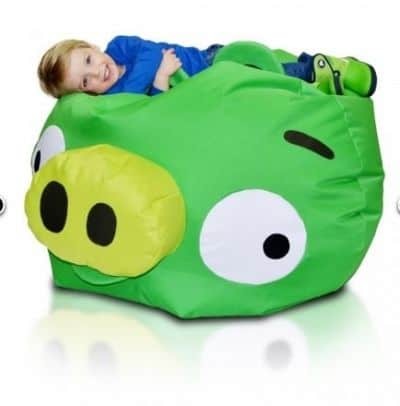 Angry Birds Bean Bag Chair! Oh… this is awesome…. A super huge Angry Birds beanbag! This would definitely add a wow factor. It also looks ridiculously comfortable as well as anything else. There are also other characters available! Wall stickers just makes it a lot easier to create a themed bedroom simply and at a very reasonable cost – and you can stick them without worrying about damage to the wall too and they are simple to apply. Usually, it’s just a case of peeling and sticking! This set is a great one for creating an angry birds scene. Really simple to apply and easily removable too. You can check them out here. Another great variety set, with 38 wall stickers in total! Angry Birds peel and stick! I do love RED! This is a great wall sticker for a super RED fan – you can check him out here. That about concludes my Angry Birds dedicated post for today — Have you seen the film yet? 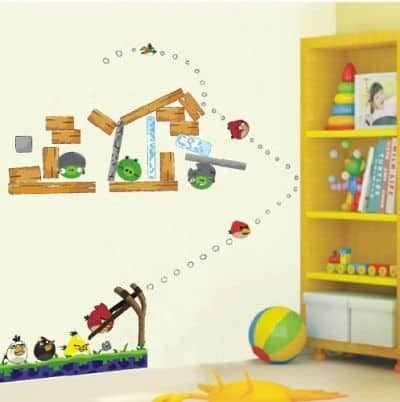 Is your child crazy about Angry Birds? *post update* we’ve now seen the Angry Birds movie… I was pretty disappointed? I expected more from the movie, considering it’s long anticipation! That being said, my boys really enjoyed it and are definitely still big fans. What did you think? Some other posts that may interest you…. 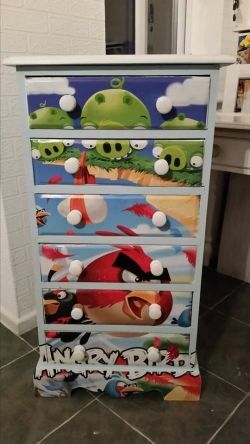 The angry birds chest of drawers aren’t hand painted, it was done using a poster by myself!